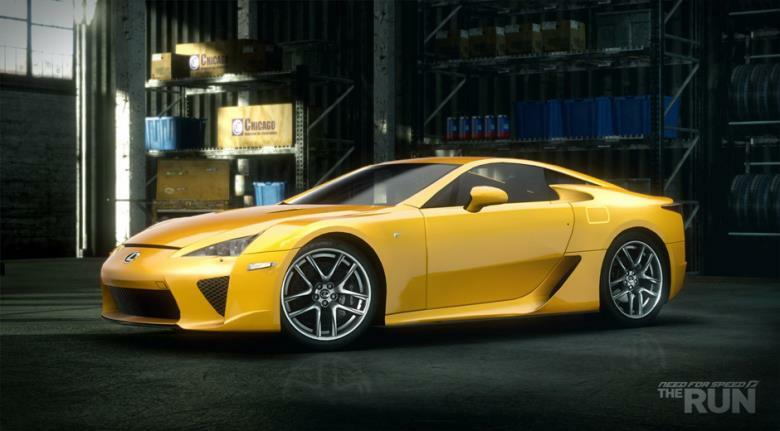 With the Lexus LFA being the next supercar to battle in the world of 200mph automobiles. The 4.8L V10 engine and lightweight carbon fibre frame to minimize weight helps to push this Lexus over the 200mph barrier. The engine can go from idle to redline in 0.6 seconds, forcing Lexus engineers to use a digital display because the needle wasn’t fast enough. In Need for Speed The Run, hear what is described as “the roar of an angel” as the Lexus LFA battles it out with the fastest supercars in the world.